Petro IV Square is located in the heart of Downtown Lisbon. With majestic fountains and beautiful purple Jacaranda trees in full bloom in summer, it is a great desination for both tourists and locals. The high street is just around the corner. It is great for shopping, and it also has lots of good restaurants and cafes serving traditional Portugese cuisine. Alfama is one of the oldest districts in Lisbon. It is usually characterised by its narrow cobbled streets, colourful architecture and hilly roads. The iconic Lisbon trams run regularly through this district. Bario Alto is the 'hipster' district of Lisbon. I like Flower Plower, which is a modern European Brasserie and Cafe with quirky art installations (second picture from the top). In addition to the quaint cafes, bars, boutique hotels and independent restaurants, you can also catch a glimpse of local life while walking down quiet narrow streets sandwiched by residential blocks. You can often spot locals casually chilling by their balcony, or hanging their laundry out to dry. Clean laundry against brightly painted houses also always sets itself up for great street photography opportunities! Look out for colourful streams of garlands and flags which decorate the street in summer months. 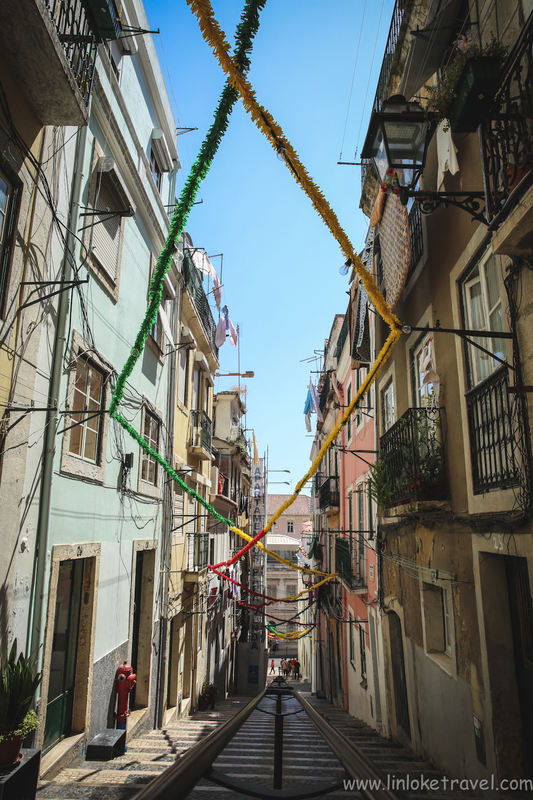 These are festive decorations for The Eve of Saint Anthony (12 June) celebration, where you will see street parades; music, dance and lots of fireworks! 25 de Abril Bridge connects Lisbon city to the Almada Municiple. It is located on the left bank of Tejo River. 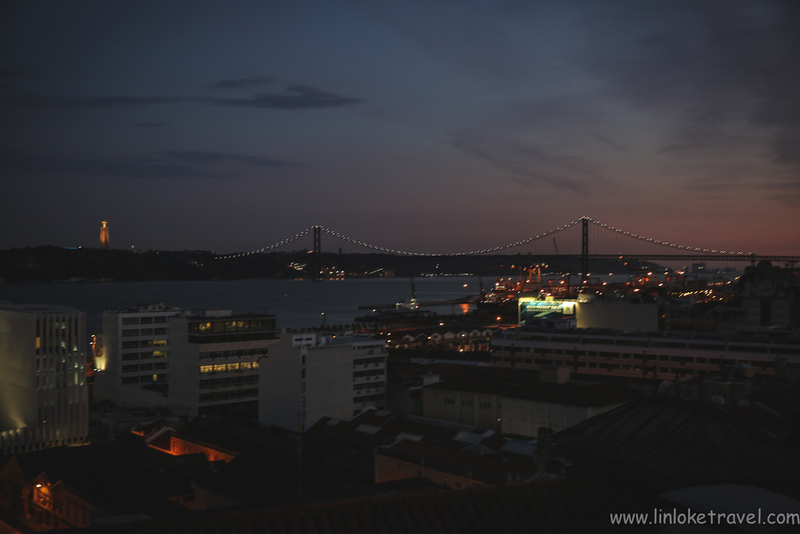 There are many MIRADOUROS (Viewpoints) in Lisbon which are dedicated terraces for the best views of the city, including views of the 25 de Abril Bridge. My favourite miradouro would be Miradoura da Graça because it affords you great panoramic views of both San George's Castle AND the 25 de Abril Bridge. It is a perfect place for viewing the sunset, and you can also visit one of Lisbon's oldest churches, The Graça Church, which is right around the corner. Lisbon's close proximity to the sea effects its local cuisine - you can find fresh, delicious and affordable seafood dishes in almost any restaurant in Lisbon! Seafood rice is a local dish which is a soupier version of a seafood risotto/ paella. It is savoury and tasty, bursting with flavours of prawn, clams and mussels. Don't forget to order a jug of Sangria which is perfect to beat the summer heat. Food in Portugal/ Delicious grilled squid with a side of potatoes and greens. In Portugal, custard tarts are usually served with powdered cinnamon and icing sugar on top. It is also common order an acidic espresso or americano on the side to complement the sweetness of the tarts. Pastéis de Belém has been serving the best Portuguese Custard Tarts since 1837. These custard tarts are a must-try. 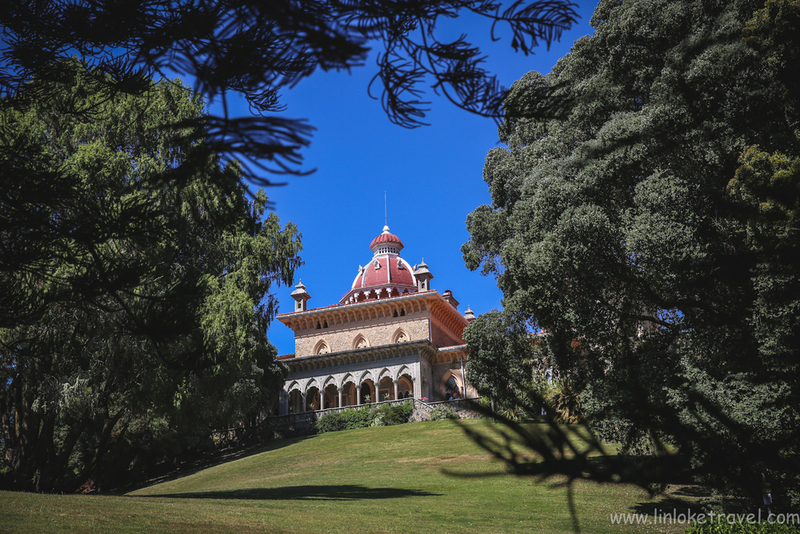 The Palace of Monserrate is the former house of Sir Francis Cook, a textiles business mogul (1856). The horticulture and architecture of this Neo-Moorish style villa is heavily influenced by Cook's interests in travel and the natural environment. On his trips to exotic countries, Cook would often bring home new and exotic plants to plant in his garden. 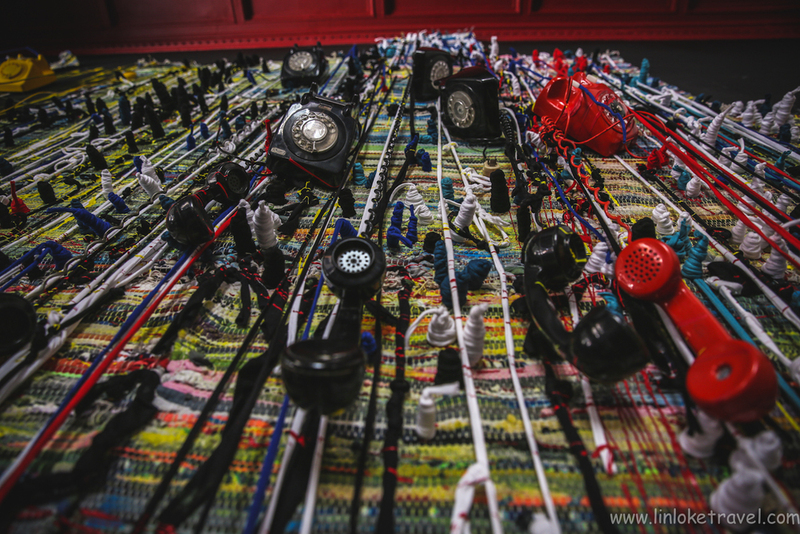 His fine eye for detail also contributes to the intricate designs found on the walls and ceilings, as well as the materials used for the interior and facade of the building. A mysterious 27 metre deep well, lined with a long winding spiral staircase. The bottom of the well is only accessible via two dark, winding tunnels. Rent a car or hire a tour guide to take you around Sintra and its coast by car. There will be many options available to you upon arrival in Sintra. Last minute tours are available. Literally 'off the beaten path', the secluded but majestic Praia da Ursa lies on the Western Coast of Portugal/ Europe. Praia Da Ursa overlooks the vast Atlantic Ocean and it is my favourite beach along the Sintra coast. Slightly more populated and well-visited, Praia de Draga boasts beautiful golden brown beaches and interesting rock formations. Azenhas Do Mar is a quiet and romantic picturesque village by the Atlantic. An underrated destination well worth the visit. Cabo Da Roca is the westernmost point of the European Mainland. On the other side of Cabo Da Roca, and across the ocean, lies the Eastern Coast of USA.